Paradise Ponds and Landscaping are experts at Colorado pond design, installation and maintenance. Add value and beauty to your home with a custom designed pond! 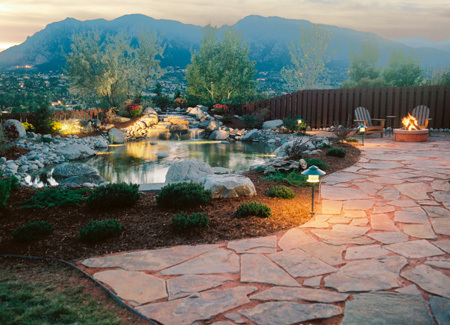 The beauty of a well-landscaped pond and the relaxing sound of a slow moving stream gently cascading over a waterfall is a very soothing and enjoyable addition to any landscaping in Colorado Springs. 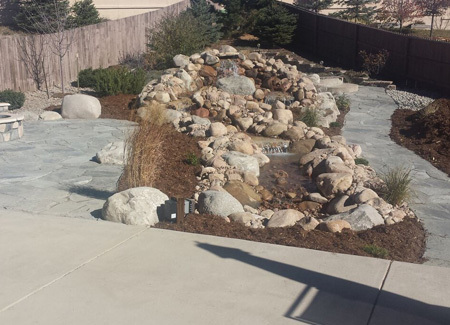 Beautiful, low maintenance water features are today’s hottest trend in landscaping jobs in Colorado Springs. Not only are they an asset to the yard, but they use half as much water as grass! No more mowing either! View Some of Our Custom Build Ponds! Every day millions of people escape to their own private paradise… their own back yard with a custom designed and professionally installed pond. Let us show you how our skilled landscaping in Colorado Springs can transform your yard into a relaxing paradise. 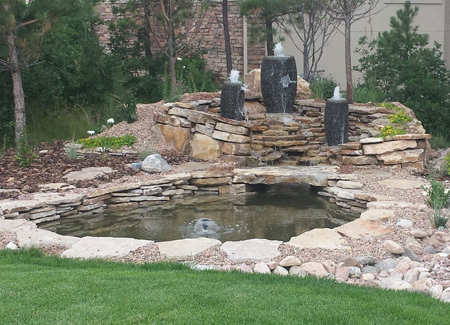 When you need a professional pond contractor who has years of experience building amazing water features in Colorado – give us a call! Call Us Today about a New Pond!